Posted on March 2, 2019 Posted in Bread	. 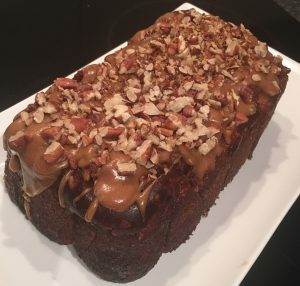 For a while now I have been meaning to create a healthier alternative to banana bread, that is scrumptious while being an acceptable high protein and high vitamin rich breakfast to fuel my morning. After a taste test of flavour combos and brief-fitting ingredients I concluded that the flavours of peanut and banana were perfect. As these ingredients are full of healthy protein building nuts and potassium richness fruit I decided to produce a recipe that was as healthy as possible while still attaining a delicious flavour and fluffy texture. I also wanted it to be as easy as possible to bake that could be whipped up in 5 minutes. 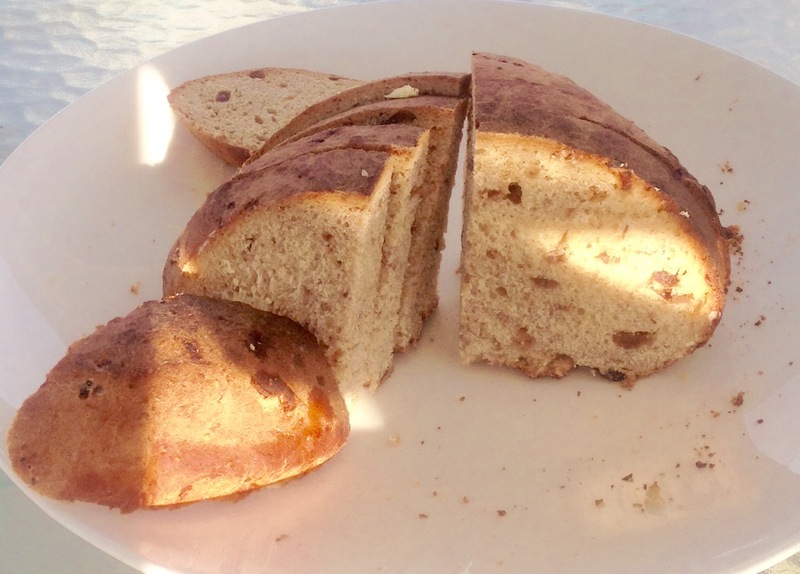 The outcome = Fluffy fruit and nut bread with no added fat (oil/butter) that I think tastes much better than traditional banana bread (which is full of fat and large sugar quantities). I’m actually impressed with myself, as soon as I served this I was asked for the recipe. Easy one step low fat fruit based loaf that is just divine sliced, warmed and if you desire topped with a flick off low fat margarine. Preheat the oven to 170c degrees and line a 14cmx24cm loaf tin with baking paper. 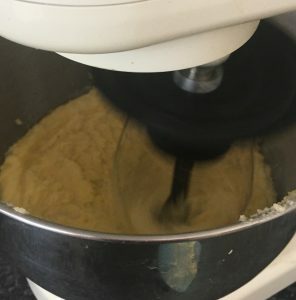 Place the sugar, banana, yoghurt, eggs, peanut butter and flour in a food processor and blitz until all the ingredients are well combine and pureed. Bake in the oven for 20-25 minutes or until the loaf is just set on touch. Allow the loaf to cool in the tin, then cut and serve. You will need 3 large or 4 medium sized bananas for this recipe. I blitzed up 15g of peanuts to decorate the top of the loaf and sprinkled before baking. Tags: banana, easy, fat, fruit loaf cake, low, peanut, Peanutbutter, yoghurt	. Posted on March 11, 2018 Posted in Australian, Bread	. A few Christmas’ ago my mother gave me a copy of the Australian Green & Gold cookbook in which was re-released to celebrate 75th years since originally being published (publisher being New Holland). Why this is so interesting is that this particular cookbook features 100’s and 100’s of traditional Australian recipes from ‘experienced housewife’s and cookery experts’. It’s a recipe book that was a staple book for my late grandmother (and most likely yours too). I cannot remember what made me decided only now to actually read through the book finally but I’m glade I did (I think I had it in my head it was just savoury, in which is completely incorrect). After finally, from so many recipes to choose from I decided on my top 15 most interesting based on the ingredients utilized to try out first hand. It did take me a few weeks to work my way through the list with lots of surprises along the way. 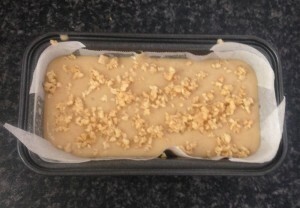 Some recipes were let’s just say…well….a massive 100% fail on taste and texture (the vermicelli noodle custard bake….yes it was not great at all). 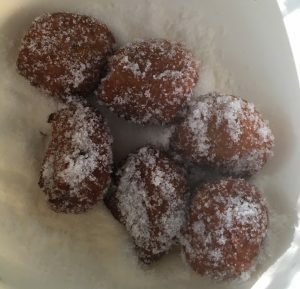 Unexpectedly the best dessert (I was only replicating desserts) by a long shot was the Bread Fritters. A simple simple recipe that was melt in your mouth addictive, seriously! 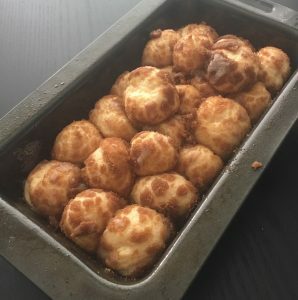 I’ve made a fair amount of fritters/dumplings/doughnuts etc, basically every countries traditional main fried sweet treat and this one is right up the top. 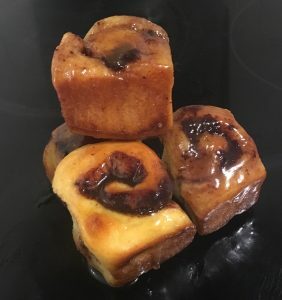 Traditionally the flavour in the book was nutmeg…which I changed, but apart from tweaking this to cinnamon I followed word for word (and added in lots of extra steps too as the recipe is only 3 sentences long). 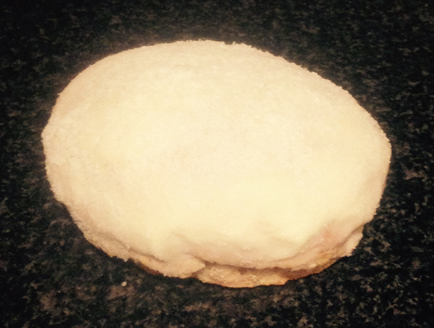 The end result – think Cinnamon doughnut with the ultimate fluffiness you can imagine. Place the bread cubes into a large bowl and cover completely with the milk (hence my approx. mention, you may need a tiny bit more or less pending how soft your bread is). Allow the milk to soak into the bread for at least 1 hour. 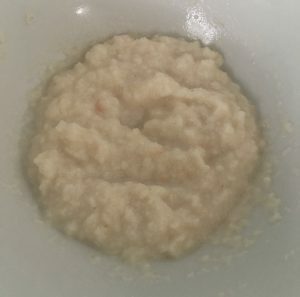 Once milk is absorbed mash the bread with a fork to a puree consistency. Using a hand whisk beat the egg, flour, salt and cinnamon into the bread puree. Leave aside for 20 minutes. Meanwhile, place paper towel on a plate to absorb excess oil on the fritters for later. 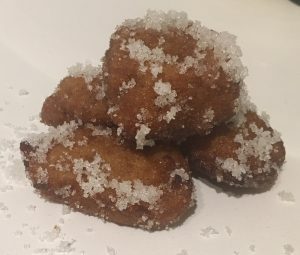 Place 80g of caster sugar in a bowl for coating the fritters once cooking them. Place oil into a saucepan and heat to 150c on a candy thermometer. 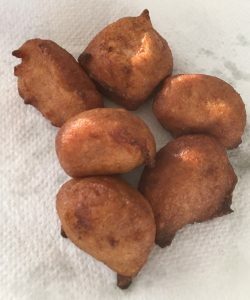 Fry spoonful’s (a tbsn size is perfect) of mix into the oil (I used 2 tablespoons to do this), turning the fritters with tongs once they are golden brown on top. Place cooked fritters on the paper towel plate as you go. 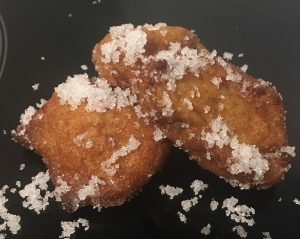 Once finished placed the fritters in the sugar, given them a good solid toss ensuing they have an even coat of the sugar, enjoy! Tags: Australian, Australian Bread Fritters, bread, cinnamon, fritters	. Posted on June 10, 2017 Posted in Bread	. 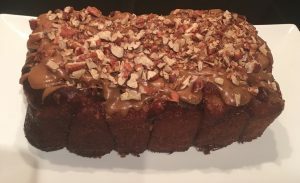 This recipe has actually come from a snickers rice bubble slice and a peanut and bacon babka fail. 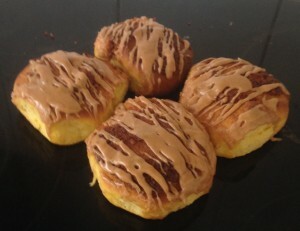 I was determine to make something with the snickers flavors but in a really untraditional way. 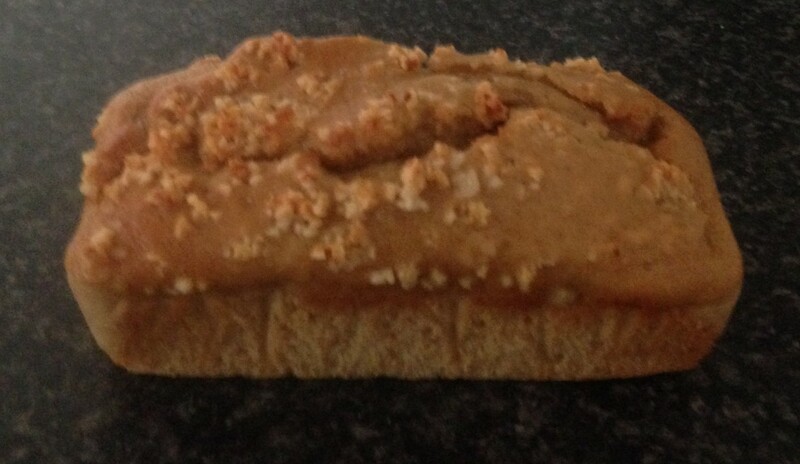 After experimenting I actually realised that melted caramel, chocolate and peanuts work very well in the bread format. The flavors really come though in this recipe and as the base of the recipe is bread and not cake the sweetness is not too overpowering. 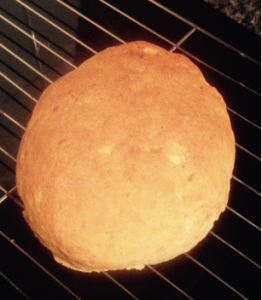 This recipe is a really moreish bread to eat! 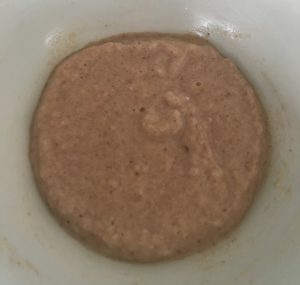 Place the flour, sugar and yeast in a bowl and mix until combine. Whisk the egg and add to the mix with luke warm water. 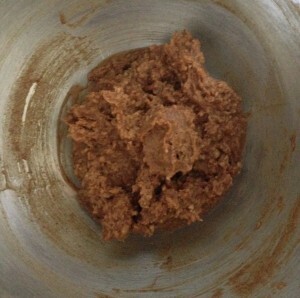 Using a wooden spoon stir until the mix is combining and resembles a dough. Flour the bench and place the dough on the flour. Kneed for 3 minutes of until the dough is elastic and smooth. 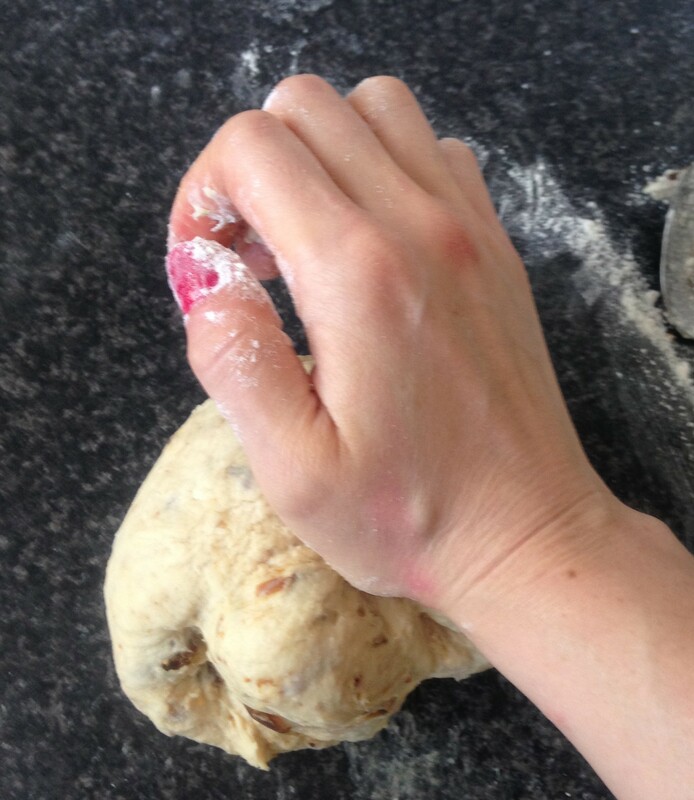 Place the mix in an oiled bowl and using your hands massage the butter into the dough until well combine and glossy. 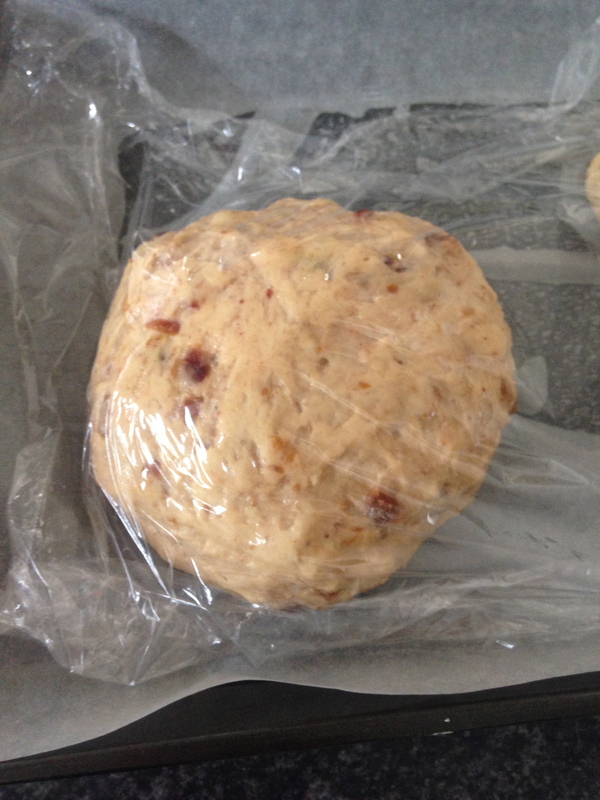 Place plastic wrap over the bowl and leave in a warm place for 2 hours or until the dough triples in size. To make the filling place the butter in a bowl and heat until boiling in the microware. Add the chocolate and allow to sit for 1 minute. 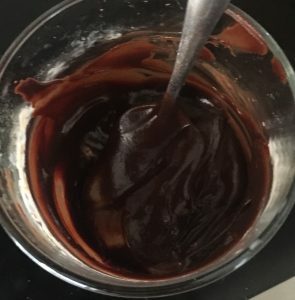 Stir the chocolate until the mix is smooth. Add the icing sugar to the chocolate mix as well as the peanuts. Meanwhile, punch down the dough and knead until smooth. 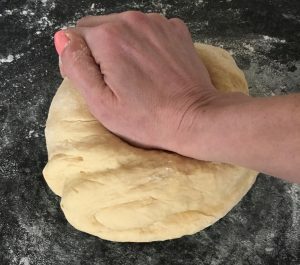 Roll the dough out to 40cm x 20cm with a rolling pin. Spread the filling over the dough evenly. 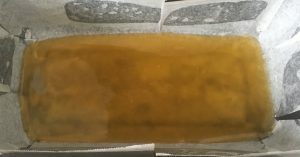 Place the caramel in the microwave and heat until the caramel is smooth. Drizzle over the filling. 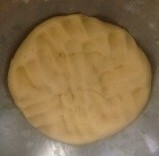 On one of the short ends of the dough brush with water with a pastry brush. 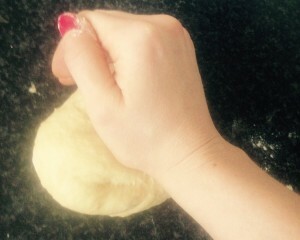 Roll up the dough from the small end with no water and finish at the water end (the water will seal the roll). 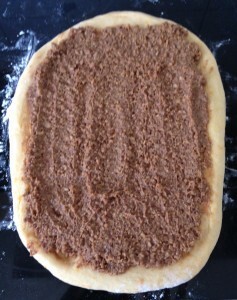 Place the dough onto the baking tray, cut a slit down the middle almost to the top of the roll. Plat the 2 halves by crossing them over each other, place the plastic wrap back on the bread and leave for 30 minutes. Pre-heat the oven to 190c degrees and place the bread in the oven for 25 minutes or until the bread is golden brown. Cut the slightly cooled bread into slices and enjoy! Tags: babka, bread, caramel, chocolate, nuts, snickers, Snickers Babka	. Posted on April 1, 2017 Posted in Bread	. After having some dried figs left over from my Fig and Grape Syrup cake and dates from my Date Spiced Syrup Doughnuts I decided to come up with a recipe that would utilize these two ingredients. 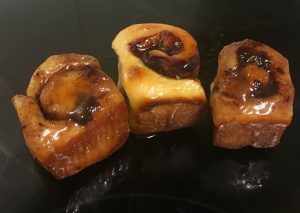 After doing quite a bit of baking with dried fruit in cakes, puddings and pies recently I wanted to step away and bake with dried fruit in a different way. I have also been baking a lot with dough in the past few weeks and though not an expert I felt I had the confidence to take on bread making. 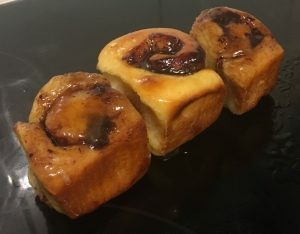 My favorite bread is raisin toast so I thought I would put my spin on fruit bread and make a gourmet fig and date version. This bread warmed, with a spread of butter is pure magic tasting! 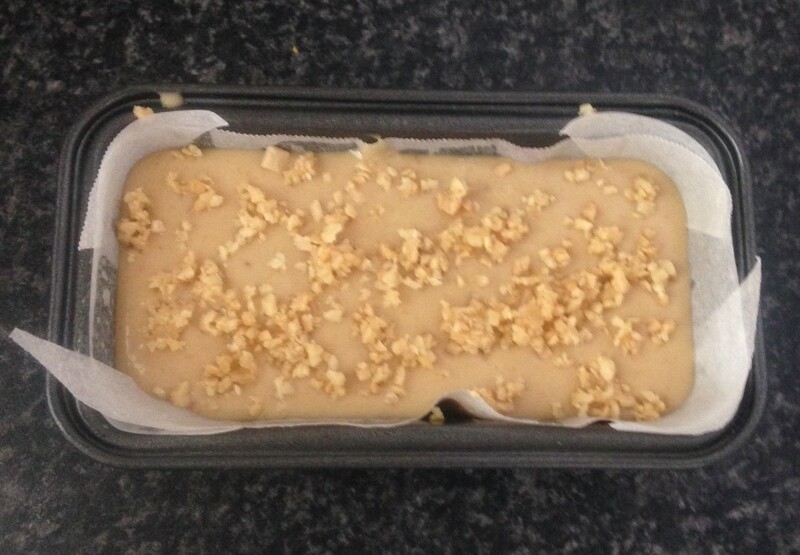 Preheat the oven to 200c degrees and line a baking tray with oiled baking paper. Dice up the dates, figs and almonds. Mix the flour, yeast, honey, salt, cinnamon, almonds, dried dates and figs in a bowl. 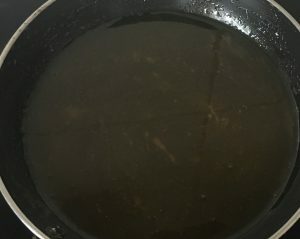 Place the olive oil and 280ml warm water in a separate bowl. 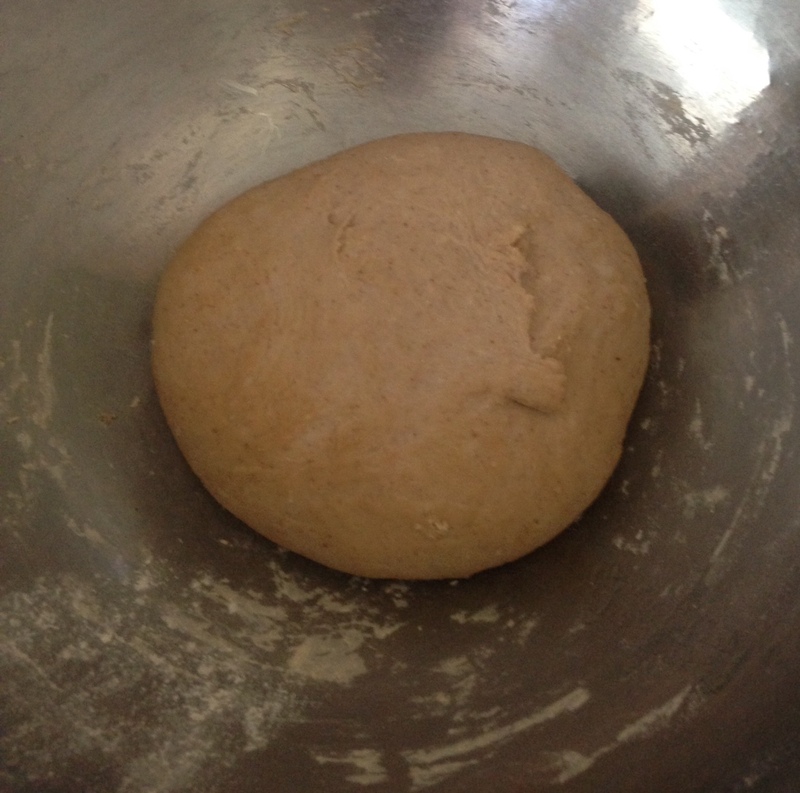 Mix the water in the dry ingredient bowl and once combine knead for 10 minutes until smooth and elastic. Oil the bowl and place the dough back in the bowl, covering with cling wrap to prove for 1-2 hours or until the dough doubles in size. 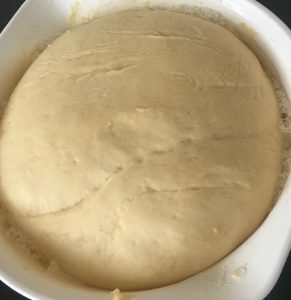 Push-back the dough by kneading for 2 minutes, shape into a load shape and allow to prove again for 1 hour on the tray covered with cling wrap. 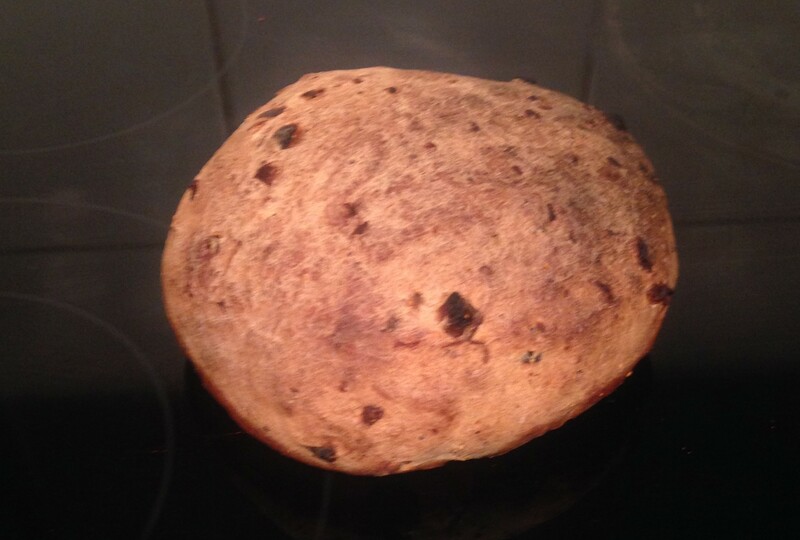 Once proved slash a cross on the top of the loaf and dust with a pinch of flour and ground ginger. Allow to cool then slice and spread with butter, enjoy! 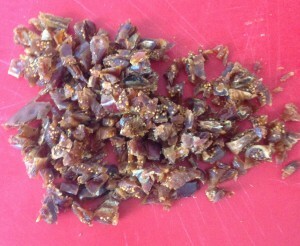 Tags: dates, Dried Date Fig and Honey Bread, figs, honey	. Posted on March 4, 2017 Posted in Bread	. This recipe actually has quite a few variations online. I too created my own version, utilizing aromas and flavors I know taste like magic together. 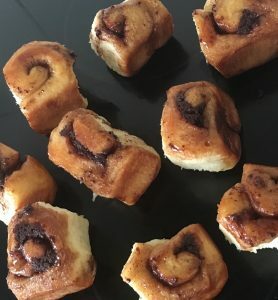 This bread is an alternative to a cinnamon scroll, but in my opinion much tastier, simpler and interesting. The ball method means every mouthful has delicious spices and nuts. Think brioche bread, beautiful crunch of roasted nuts and swirls of tasty complementary spices. 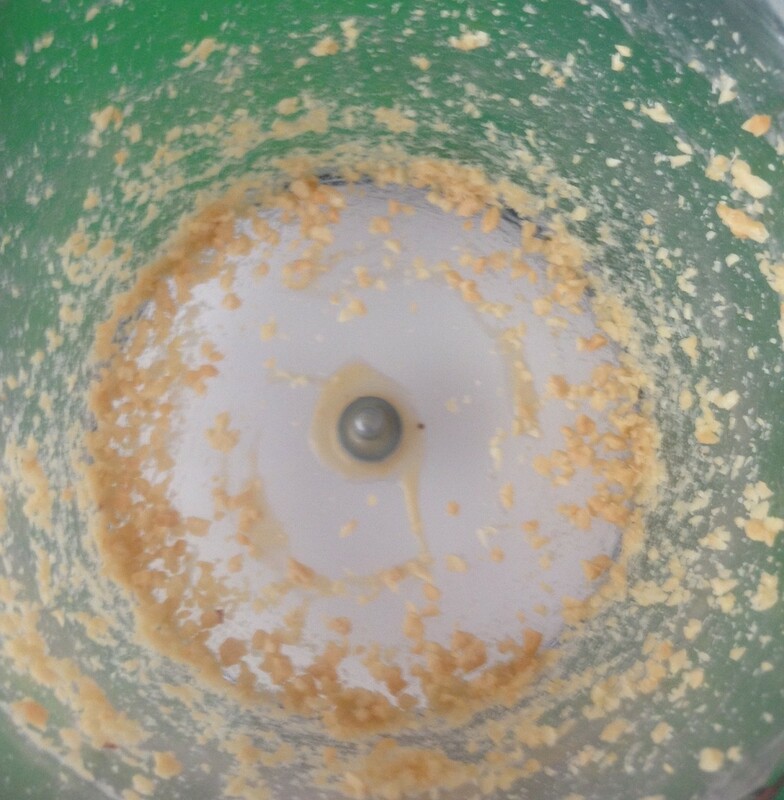 Place the milk and butter into a bowl and microwave until steaming, stir until combine and butter is melted. Leave aside to cool to room temperature. 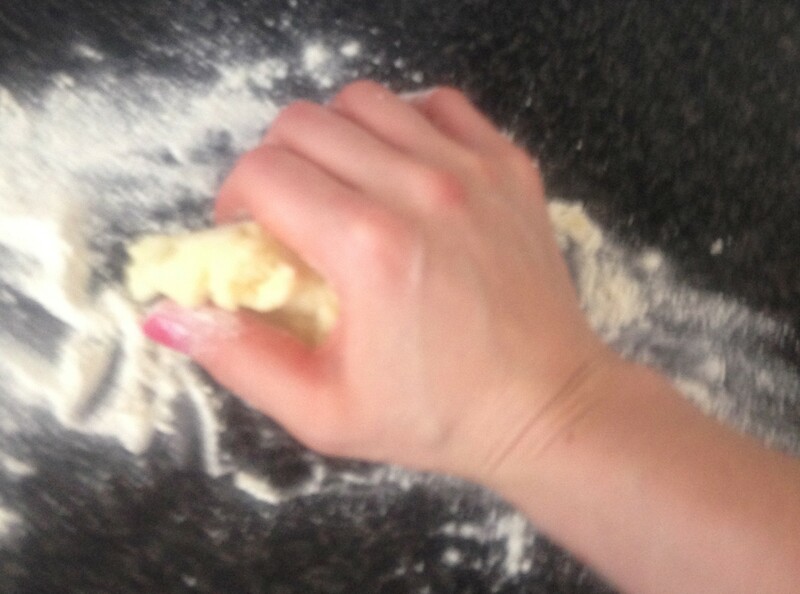 Add the milk mix and an egg into your kitchen aid with a dough hook, kneed until combine. Sift the yeast, flour, salt and sugar into the milk mix and kneed for 10 minutes until silky and elastic. Spray a bowl with oil spray and transfer the dough into the bowl. Top the bowl with plastic wrap and leave aside the bowl for 90 mins to prove. Spray a bread load tin with oil spray. In another bowl place the spices and sugar and then mix until combine. 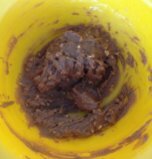 Melt the 80g butter in a bowl and spoon 15ml into the base of the tin. Sprinkle melted butter with 1/3rd of the chopped nuts. 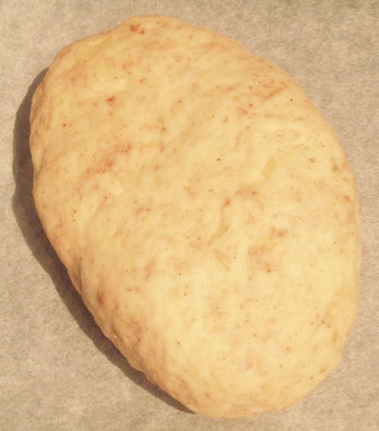 Pull pieces of the dough and roll into 2cm sized balls. Place the remaining 65ml butter into a bowl and add a ball, completely cover ball with butter and remove with a spoon. Place the sugar mix into a bowl and swish the bowl around until the ball is completely covered in sugar. Repeat with remaining dough. Place the balls in the cake tin, evenly, covering the tin then add in 1/3rd of the pecans. 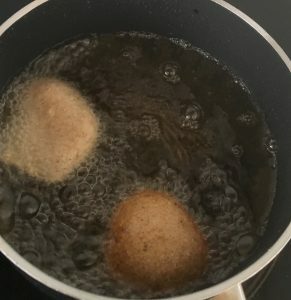 Add the remaining balls into a second layer and top with remaining sugar and butter. Push down careful with hands to ensure no gaps. Leave the tin aside to prove for 90 minutes with plastic wrap on the top. Pre-heat the oven to 180c degrees and place the bread in the oven to cook for 30 minutes or until the bread is golden brown. Leave in the tin to cool. Once cooled hit the tin on the bench to allow for the bread to fall out inverted onto a plate. 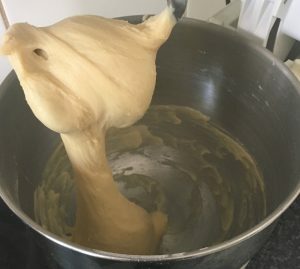 To make the icing beat the ingredients together with a hand whisk until smooth and pour over the top of the bread. To serve you can cut into bread slices or you can pull the balls off. Note: This bread is amazing with a swipe of butter. 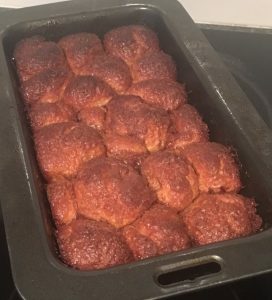 Tags: cinnamon, ginger, Monkey Bread, nutmeg, pecans	. Posted on December 4, 2016 Posted in Bread	. 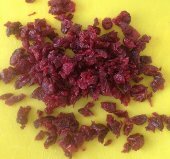 Apart from a little inclusion in my Quinoa Berry Christmas cake recipe I haven’t experimented with cranberries. After my eye catching them in the shop the other day I decided to purchase some and come up with a recipe. 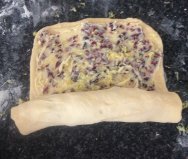 For something different I decided I wanted to make a bread with the cranberries. 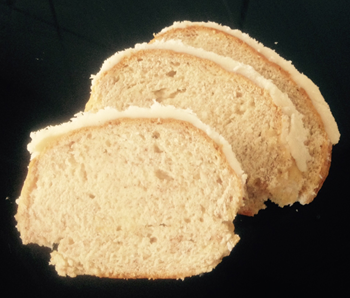 As cranberries are so sweet I paired this flavour with the zesty taste of lemon and added in white chocolate to produce a marbled flavour effect throughout the bread. 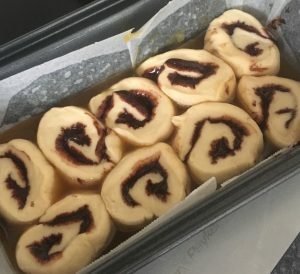 Making the ‘Babka’ bread came about as a fourth attempted in this baking session as the original recipe experiment of a sponge roll log cake was not a success at all. 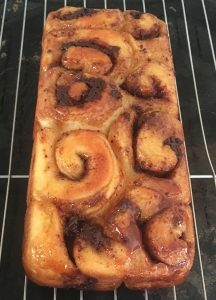 The experiment aim was to make a sweet treat that allowed me to produce a spiral effect and a babka dough would allow for exactly this. Babka is bread that a) is rolled up and b) involves platting the dough together to intensify flavour bursts. 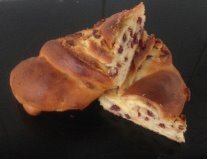 I actually had quite a few versions of this where 2 were serious standouts, this Lemon Cranberry and White Chocolate Babka being one of these. Flour the bench and place the dough on the flour. Kneed for 5 minutes of until the dough is elastic and smooth. 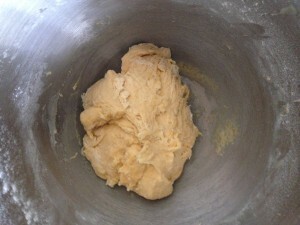 Place the mix in an oiled bowl and using hands massage the butter into the dough until it is combine and glossy. 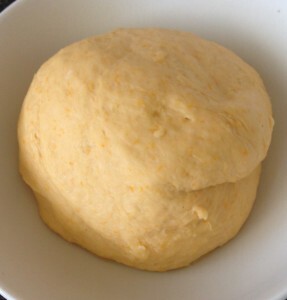 Place a towel or plastic wrap over the bowl and leave in a warm place for 2 hours or until the dough triples in size. Add the white chocolate and allow to sit for 1 minute. Stir the white chocolate until the mix is smooth. 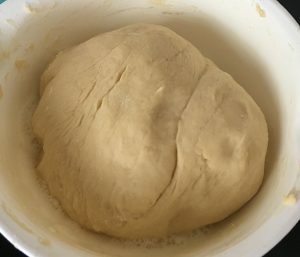 Punch down the dough and knead until smooth. Add the icing sugar to the chocolate mix, lemon zest and the cranberries. Roll the dough out to 40cm x 20cm shape with a rolling pin. On one of the short ends brush water with a pastry brush. 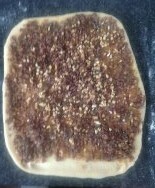 Place the dough onto the baking tray, cut a slit down the middle longways, almost to the top of the roll. Plat the 2 halves by crossing them over each other, place the towel or plastic wrap back on top of the bread and leave for 45 minutes. Cut into slices and serve with a spread of butter, delish! Tags: babka, bread, cranberry, lemon, Lemon Cranberry and White Chocolate Babka, white chocolate	. Posted on August 28, 2016 Posted in Bread	. 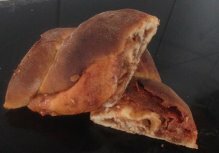 I do occasionally dabble with dough and on this occasion I thought I would pair sweet (but tart) and spicy flavours to take savory bread to the next level. So what’s the first thing that comes to mind when you think sweet…chocolate, that’s right. 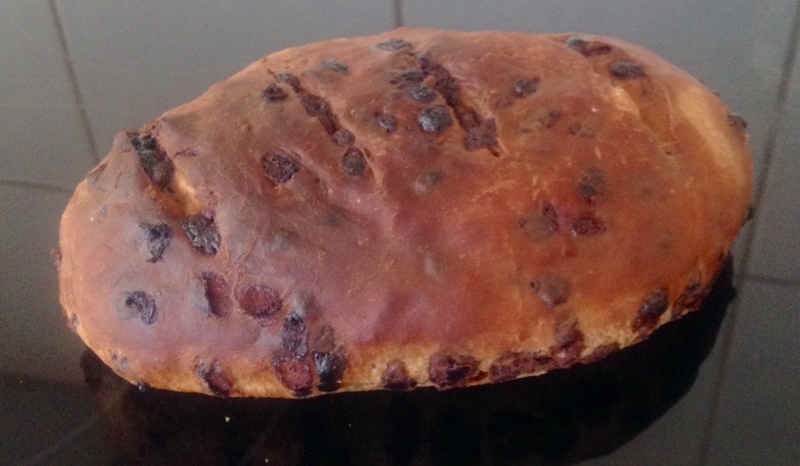 We eat sweet Banana Bread for breakfast so why not Chocolate Bread? 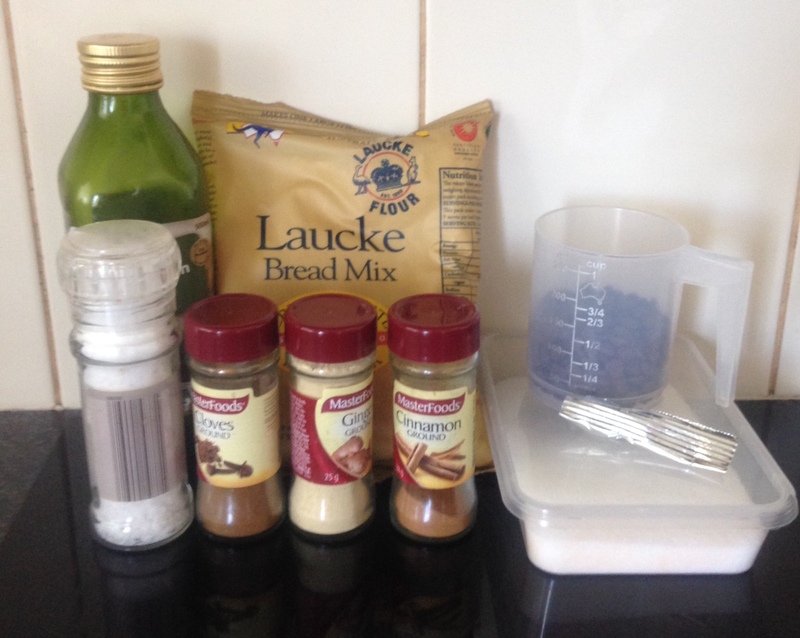 Chocolate alone was a bit mundane (bakeries do this nowadays) so I decided to add in some spices to give a few kicks to enhance the chocolates taste and the breads flavour. 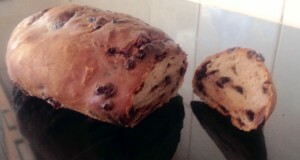 Thus my Spiced Ginger and Chocolate Bread was born. 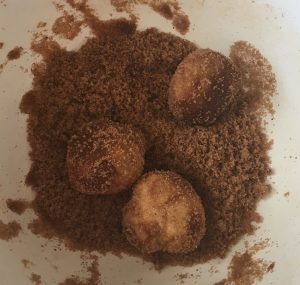 Mix together the flour, sugar, ginger, cinnamon, cloves, chili powder and salt in a bowl. 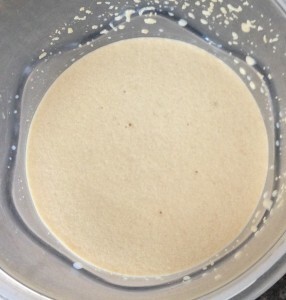 Place the yeast and 280ml of warm water in a bowl for 5 minutes or until it bubbles. Stir the oil with the warm water then pour into the flour mix, stir. Lightly flour a bench and knead the dough for 10 minutes or until smooth and elastic. 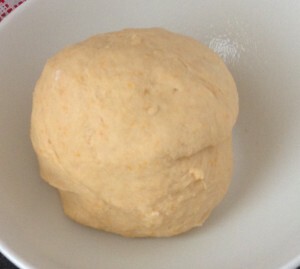 Place the dough in a bowl and cover with cling wrap or a tea towel for 1-2 hours to prove (or until it doubled in size). 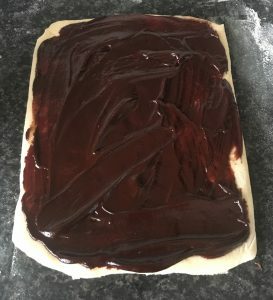 Add the chocolate chips and combine with the dough. Lightly flour the bench again and knead the chocolate through the dough for 2 minutes. 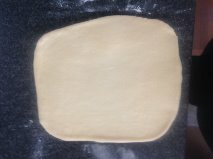 Line a baking tray with baking paper and shape the dough into a bread shape and place on the tray. Cover the bread again and leave to prove for another hour. Pre-heat the oven to 220c degrees and place a small bowl of water in the bottom of the oven to stop the bread drying out. Once proved cut slits in the top of the bread and place in the oven for 25 minutes or until the load sounds hollow. Tags: bread, chocolate, ginger, Spiced Ginger and Chocolate Bread, sweet bread	. Posted on April 18, 2016 Posted in Bread	. Yes pumpkin and vanilla are not common scroll flavors or textures to be included in a recipe, but this recipe is full of surprises. 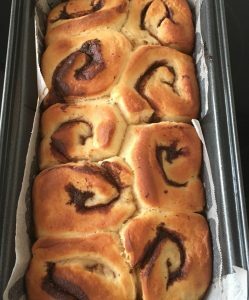 All I can say is OMG, after eating these I never thought I was a scroll lover but im now converted! Though you can’t taste the pumpkin, what it does is adds a fluffiness to the scrolls, making them so light. 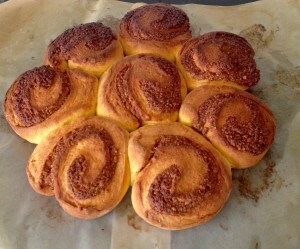 The vanilla (especially in the icing) along with the cinnamon work brilliantly together. The best thing about this recipe is the filling. Yes the icing and scroll dough is super tasty the filling is to die for. I don’t even like walnuts but could eat the mix straight! 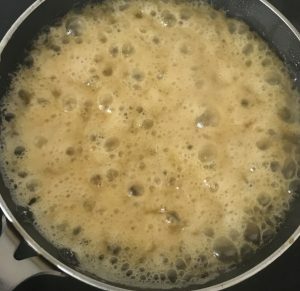 Place the milk, yeast and 1 tbsn on the sugar into a bowl, whisk with a hand whisk to combine and leave for 10 mins to froth. Cut and de-skin the pumpkin into small pieces. Steam in the microwave until a knife inserted into the pumpkin comes out with ease. 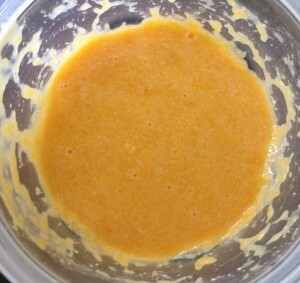 Place the pumpkin in a food processor and blitz until pureed. 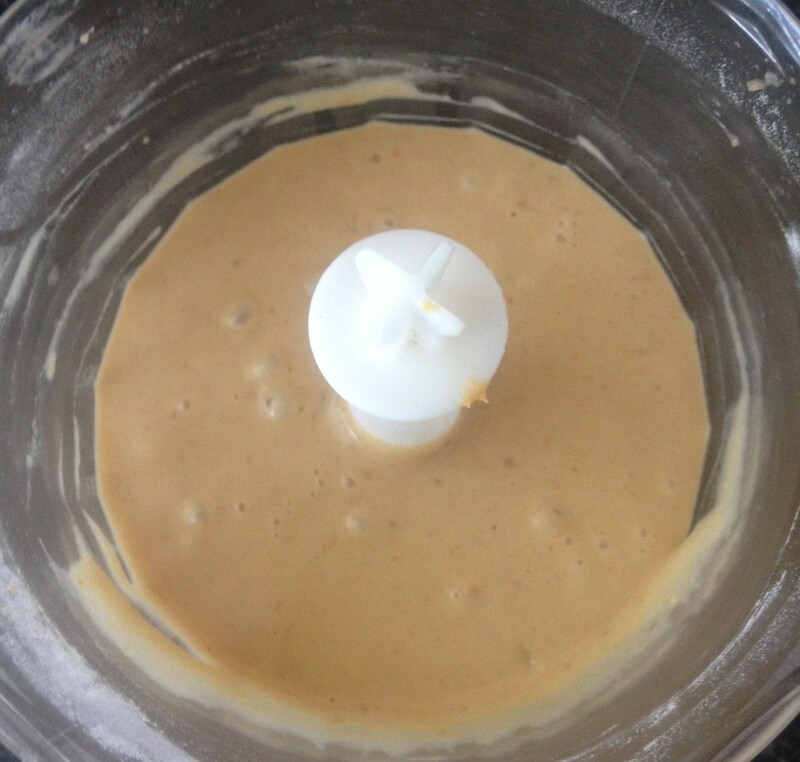 Add the eggs and puree to the milk mix and whisk with a hand whisk until combine. 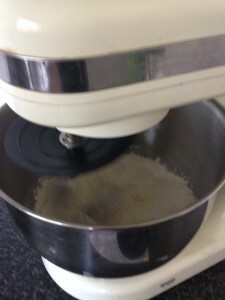 Place the flour, salt and remaining sugar into a kitchen aid (or equivalent) and beat on a low speed until combine. Add the puree and beat on medium until well combined. Dice the butter into pieces and soften slightly in the microwave. With the processor going add the butter 2 pieces at a time and leave beating for 2 minutes. Once dough is done flour a surface and knead the dough for 3 minutes. 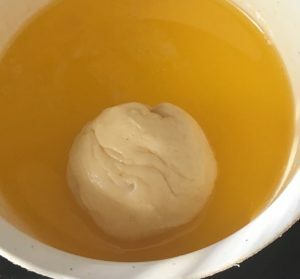 Oil a bowl and place the dough in the bowl. Cover with plastic wrap for 1 hour or until doubled in size. Meanwhile to make the filling place the pecans into a food processor and blitz until they resemble bread crumbs. Soften the butter slightly and place all ingredients into a bowl and whisk with a hand whisk until well combined. Pre-heat the oven to 180c degrees and line a large slice tin with baking paper. 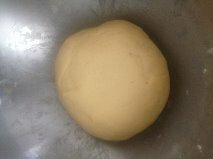 Once dough is ready flour the surface again and place the dough on the surface. Using a rolling pin roll the dough out to 30cm x 40cm. Spoon the nut mix over the dough evenly until almost reaching the edges. 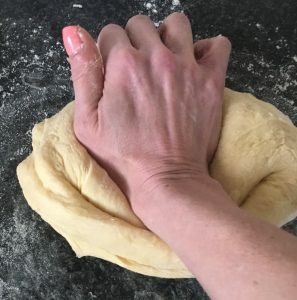 Roll up the dough from the longer sides to resemble a long log. Cut off the 2 ends of the log to make the ends straight. Cut the log into 12 equal rolls and place cut side up onto the tray. Cover the tray with plastic wrap and leave aside for 1 hour or until doubled in size. Once proved melt the extra butter and brush onto the top of each roll. Place the tray into the oven and bake for 30 minutes or until the scrolls sound hollow when tapped. Remove from the oven and leave aside to cool slightly (around 10 mins). 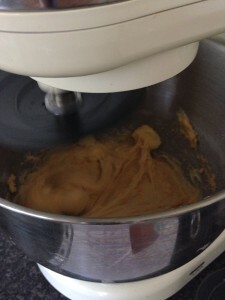 Meanwhile make the icing by melting the butter slightly and placing in a bowl with the remaining icing ingredients. Using a hand whisk beat until well combined. 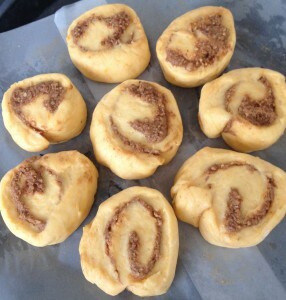 Drizzle icing over the scrolls and serve. Tags: cinnamon, cloves, ginger, Pumpkin, Pumpkin Vanilla and Cinnamon Scrolls, vanilla	. Posted on June 14, 2015 Posted in Bread	. An interesting little bun this one is. If you’re not familiar with a Boston Bun it is a large spiced bun with a thick layer of coconut icing, that surprisingly is not from Boston at all and is best known to derive from Australia and New Zealand. This recipe, I have slightly tweaked the traditional bun that utilised mashed potato. The new age Boston Bun uses flour and yeast as well as raisins, however utilising the Potato to me provides the best texture and interesting inclusion. This bun is not super sweet but will hit that sugar craving and is satisfying. Preheat the oven to 180c degrees and line a baking tray with baking paper. 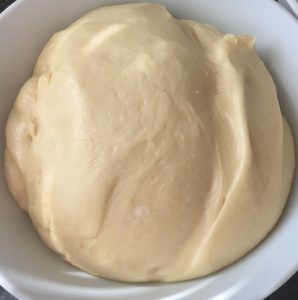 Place all the dough ingredients into a bowl and stir with a knife until the mix is combine. Lightly flour the benchtop and then place the dough in the flour. Knead until the dough is well combine and elastic. Mold into a loaf shape with your hands and place onto the tray. Bake in the oven for 40 minutes or until a skewer inserted in the center comes out clean. Place the loaf on a cooling rack to cool. 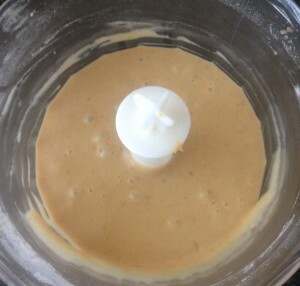 Mix the icing ingredients together until well combine and silky. Spread the icing on the top of the bun with the back of a spoon then sprinkle the top with the coconut. Tags: boston bun, bun, Potato Boston Bun	.